We’ve got a White Russian, Black Russian and Blue Russian already – why not add a Midori Green Russian to the collection? 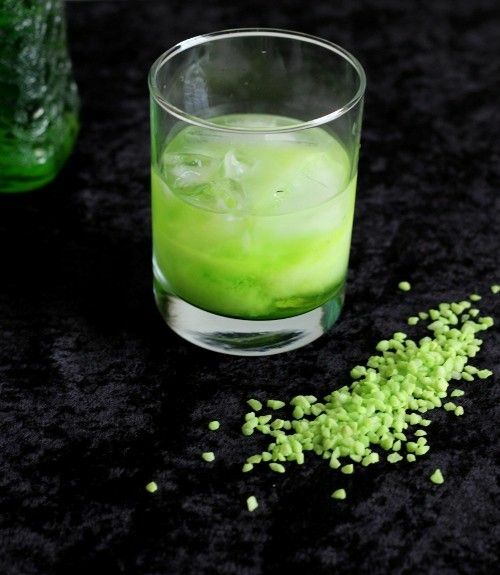 This drink blends Midori with vodka and cream. You’ll definitely need to like Midori to enjoy this one because it is by far the dominant flavor. The cream just mellows it a little, and the vodka just adds some proof to the drink. This one is great for any occasion where you’d enjoy one of the other Russians. Not every bartender is familiar with it, but it’s great for savoring on a night out, so memorize it or keep it on your smartphone for ordering when you’re out. Pour the three ingredients over ice, in order, and serve with a straw for stirring.